While many rumors have been circling about this announcement for awhile, Chevrolet is finally preparing to unveil its most powerful production Corvette ever – the 2019 Corvette ZR1. The team behind the latest iteration of America’s beloved sports car have been tight-lipped about product development, but there has been no shortage of speculation circulating all about the internet. Spy photos and videos have unveiled elements of the new ZR1’s design and performance capabilities, but until today, nobody has gotten a clear look at what this new Corvette really looks like. 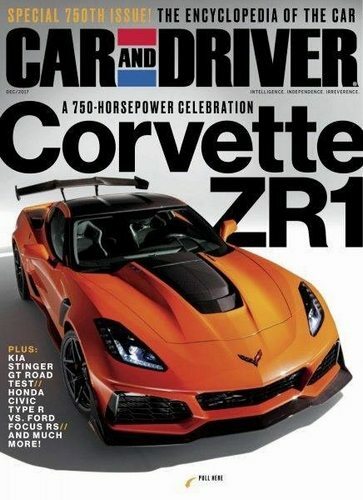 Now, thanks to the guys at Corvette Blogger who first reported it, a purported leaked cover of the December 2017 issue of Car and Driver magazine is giving the world its first look at the all-new ZR1 Corvette – and it is a thing of beauty. 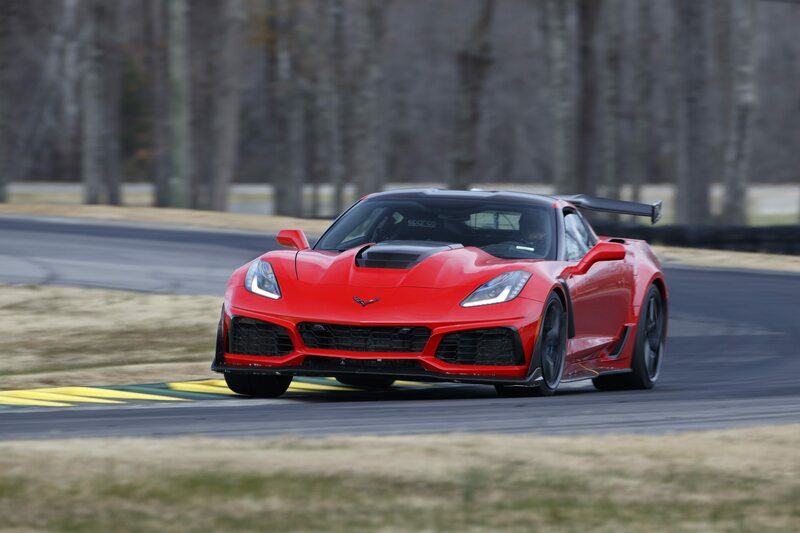 The images of the all-new ZR1 Corvette revealed that the car will be equipped with an aerodynamic body kit which includes a carbon fiber front splitter, air intake ducting, a ventilated carbon-fiber hood, a carbon-fiber roof (which has been reported to be removable), lightweight alloy wheels and a massive rear wing. Initial performance specs indicate that the Corvette ZR1’s LT5 engine will produce 750 horsepower and 680 lb-ft of torque! 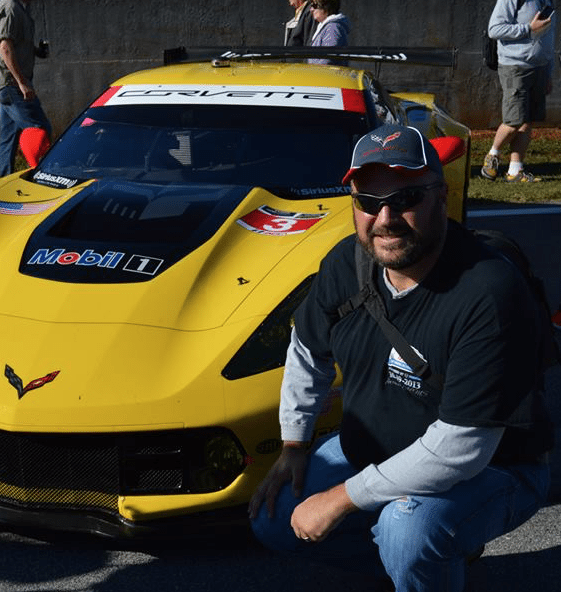 Moreover, Chevy claims that the new Corvette will have a top speed of greater than 210 mph! The full December, 2017 Car & Driver cover, featuring the 2019 ZR1 Corvette. The 2019 Corvette ZR1 will come equipped with either a 7-speed manual or an 8-speed automatic transmission. The LT5 engine will be a 6.2L pushrod V8 equipped with an Eaton supercharger. The LT5 utilizes a new fuel delivery system which utilizes both Port Injection and Direct Injection. Because of this exaggerated hood height, the car cannot be sold in Europe. 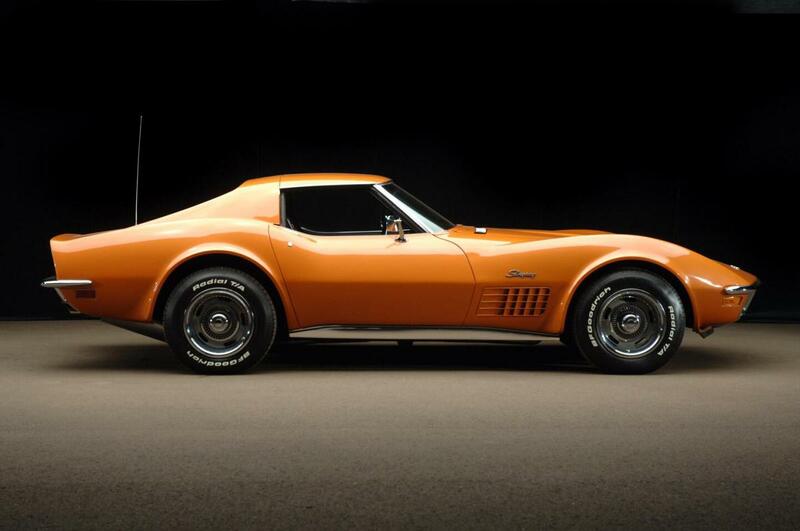 The front wheels will be 1/2″ wider than those found on the current Z06 model. Magnetic Ride Control will be a standard feature on the ZR1. The car will feature carbon ceramic brakes. The car comes equipped with arear win g which is attached behind the hatch and is designed to spread the downforce load to the bumper beam. The 2019 ZR1 has a curb weight of 3,664 lbs, which is 140 lbs heavier than the Z06. Chevrolet claims that the new ZR1 will achieve sub-3 second 0-60 times and a sub-11 second quarter mile. Tadge Juechter claims that the new ZR1 can shoot flames out of the exhaust system. 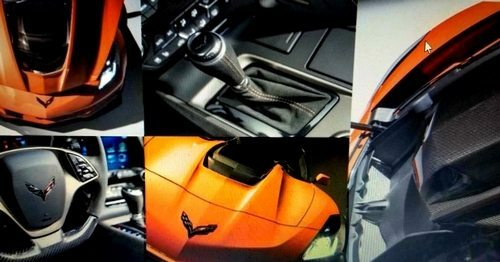 Additional images of the new 2019 Corvette ZR1 reveal that the car will continue to showcase many of the elements introduced in the original 2014 Corvette Stingray, while also evolving the design to produce unprecedented levels of speed and performance from the C7 platform. While official pricing of the 2019 Corvette ZR1 has yet to be officially announced, most experts agree that the starting price will be around $120,000, which is nearly $40k more than the Z06 model. 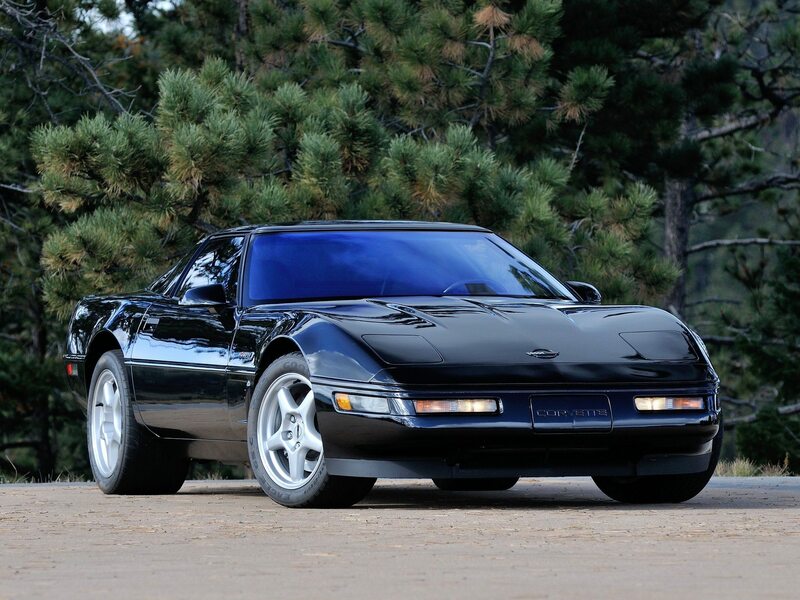 With the ever-increasing speculation that Chevrolet is also preparing to unveil a mid-engine variant of the beloved Corvette, the arrival of the 2019 ZR1 may be a final sendoff of the front-engine Corvette. 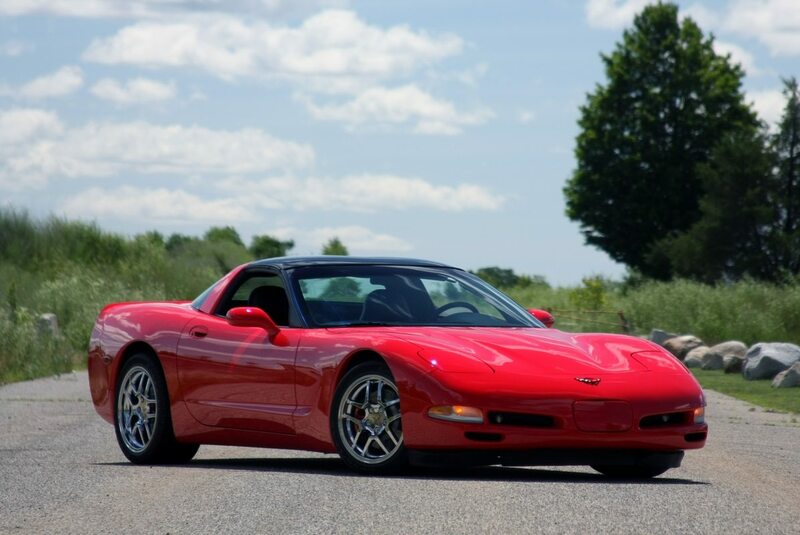 With 750 horsepower under the hood, there is no question that the front-engine Corvette is going out with a bang – and a fitting conclusion to more than 65 years of the beloved sports car in its current front-engine, rear-wheel drive configuration. We are expecting all the details on the Corvette ZR1 next week when it makes its debut in advance of the Dubai Motor Show on Sunday, November 12th, 2017. While the Dubai Motor Show officially runs from November 14th-16th, 2017, Chevrolet felt that the reveal of the new ZR1 was significant enough that it warranted a separate venue for the unveiling. The announcment is scheduled from 7-10:30pm (local time), and promises to be an awesome event. The car will make its American debut in Los Angeles on November 27, 2017.